A landscape architect is a person who is educated in the field of landscape architecture. The practice of landscape architecture includes: site analysis, site inventory, land planning, planting design, grading, storm water management, sustainable design, construction specification and ensuring that all plans meet the current building codes and local and federal ordinances. The title landscape architect was first used by Frederick Law Olmsted, the designer of New York City's Central Park. The Australian Institute of Landscape Architects (AILA) states that "Landscape Architects research, plan, design and advise on the stewardship, conservation and sustainability of development of the environment and spaces, both within and beyond the built environment". This definition of the profession of landscape architect is based on the International Standard Classification of Occupations, International Labour Office, Geneva. Some notable Australian landscape architects include Catherin Bull , Kevin Taylor,, Richard Weller[better source needed], Peter Spooner, Doris Brown, Bruce Mackenzie, William Guilfoyle, Ina Higgins, Edna Walling and Ellis Stones. To become a recognised professional landscape architect in Australia, the first requirement is to obtain a degree in landscape architecture accredited by the Australian Institute of Landscape Architects. After at least two years of recognised professional practice, graduates may submit for further assessment to obtain full professional recognition by AILA. 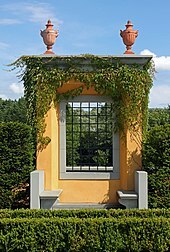 Landscape architecture practices the fine art of relating the structure of culture to the nature of landscape, to the end that people can use it, enjoy it, and preserve it. Developing new or improved theories, policy and methods for landscape planning, design and management at local, regional, national and multinational levels. Developing policies and plans and implementing and monitoring proposals for conservation and recreation areas such as national parks. Developing new or improved theories and methods to promote environmental awareness and undertaking planning, design, restoration, management and maintenance of cultural and/or historic landscapes, parks, sites and gardens. Planning, design, management, maintenance and monitoring functional and aesthetic layouts of built environment in urban, suburban, and rural areas including private and public open spaces, parks, gardens, streetscapes, plazas, housing developments, burial grounds, memorials; tourist, commercial, industrial and educational complexes; sports grounds, zoos, botanic gardens, recreation areas and farms. Contributing to the planning, aesthetic and functional design, location, management and maintenance of infrastructure such as roads, dams, wind farms and other energy and major development projects. Undertaking landscape assessments including environmental and visual impact assessments to prepare policies or inform new developments. Inspecting sites, analyzing factors such as climate, soil, flora, fauna, surface and subsurface water and drainage; and consulting with clients and making recommendations regarding methods of work and sequences of operations for projects related to the landscape and built environment. Identifying and developing appropriate solutions regarding the quality and use of the built environment in urban, suburban and rural areas and making designs, plans and working drawings, specifications of work, cost estimates and time schedules. Monitoring the realisation and inspecting the construction of proposals to ensure compliance with plans, specifications of work, cost estimates and time schedules. Conducting research, preparing scientific papers and technical reports, developing policy, teaching, and advising on aspects regarding landscape architecture such as the application of geographic information systems, remote sensing, law, landscape communication, interpretation and landscape ecology. Project management of large scale landscape planning and design projects including management of other consultants such as engineers, architects and planners. Exploring Landscape Architecture Interviews with Australian landscape architects discussing their work. Kerb 15. Landscape Urbanism. Launched by Charles Waldheim, April 2007. Content includes articles and interviews from Charles Waldheim, Mohsen Mostafavi, Alejandro Zaera-Polo (FOA), Kathryn Gustafson, Bart Brands and Richard Weller. ^ Inc., Advanced Solutions International,. "Home". www.aila.org.au. ^ International Labour Force (2012). "International Standard Classification of Occupations" (PDF). ^ "PROF Catherin Bull - The University of Melbourne". www.findanexpert.unimelb.edu.au. ^ "Dr Catherin Bull AM". ^ "A tribute to Kevin Taylor". ArchitectureAU. Retrieved 2018-02-10. ^ "Peter Spooner: Architect shaped attitudes to landscape design". 10 November 2014 – via The Sydney Morning Herald. ^ Proudfoot, Helen. Australian Dictionary of Biography. National Centre of Biography, Australian National University – via Australian Dictionary of Biography. ^ "Design With Landscape by Bruce Mackenzie on iBooks". iBooks. 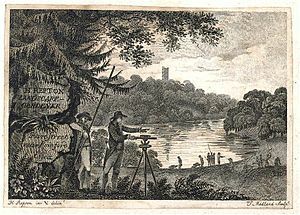 Wikimedia Commons has media related to Landscape or garden designers.